NEW YORK, NY--(Marketwired - Oct 6, 2015) - Ms. Alice M. Jackson is a Nurse Practitioner at Loyal Source Government Contracting Agency working at Fort Campbell Warrior Care Clinic. Additionally, Ms. Jackson is presently an independent assessor contractor for Lifeplans Incorporated and Locum Tenens with Barton Associates. Ms. Jackson received her Master of Science in Nursing from Austin Peay State University in Clarksville, Tennessee and is a Doctor of Nursing Practice (DNP) candidate at Maryville University, St. Louis, MO. Alice Jackson was on active duty in the U.S. Army from 1981 to 2004. After leaving the service, Ms. Jackson worked at several pain management and primary care clinics before becoming a Partner/Owner of Clarksville Sports Medicine and Wellness. Expanding her business ventures, Ms. Alice Jackson became Partner/Owner of Elite Primary Care in 2013 - 2014. She also works for Barton Associates; Locum Tenens from 2015 to present and from 2000 to present, has remained an independent contractor for Lifeplans Inc.
Ms. Jackson is a member of the Tennessee Nurses' Association, the American Nurses' Association, the American Academy of Nurse Practitioners and the Middle Tennessee Advanced Practice Nurses. 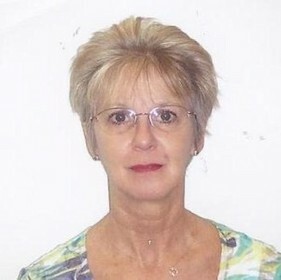 Ms. Alice M. Jackson is a member of Phi Kappa Phi and Sigma Theta Tau. When she is not working, Ms. Jackson loves spending time with many different types of animals as she is an active animal advocate. Ms. Alice M. Jackson is a Nurse Practitioner at Loyal Source Government Contracting Agency working at Fort Campbell Warrior Care Clinic, independent assessor contractor for Lifeplans Incorporated and Locum Tenens with Barton Associates.